Conveniently located in Woburn, Massachusetts, we are committed to helping children achieve the healthy, confident smile they deserve! Daniel P. Fanikos, D.M.D. 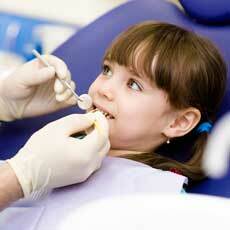 and his specially trained staff want to make your child's first dental visit a pleasant, comfortable one. We understand that going to the dentist can be scary for some children, so we strive to make every child feel at ease!